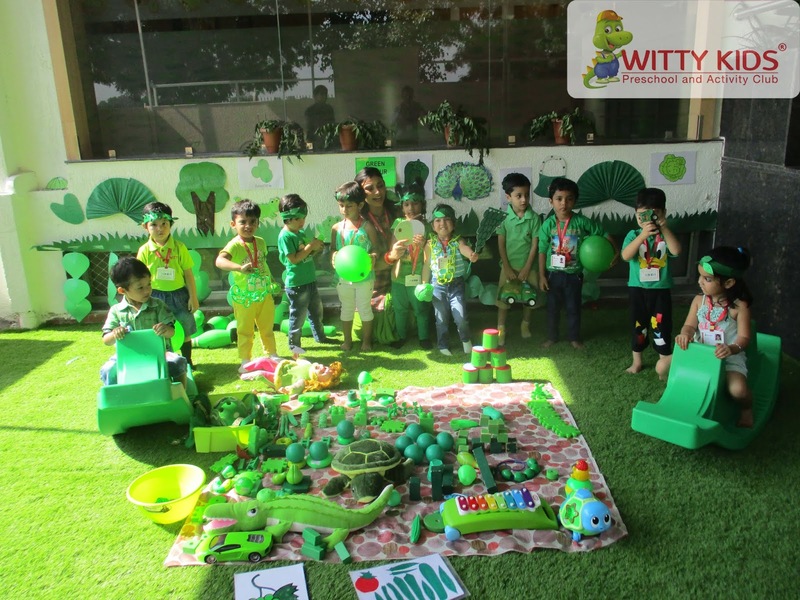 Green is the colour of balance and harmony. 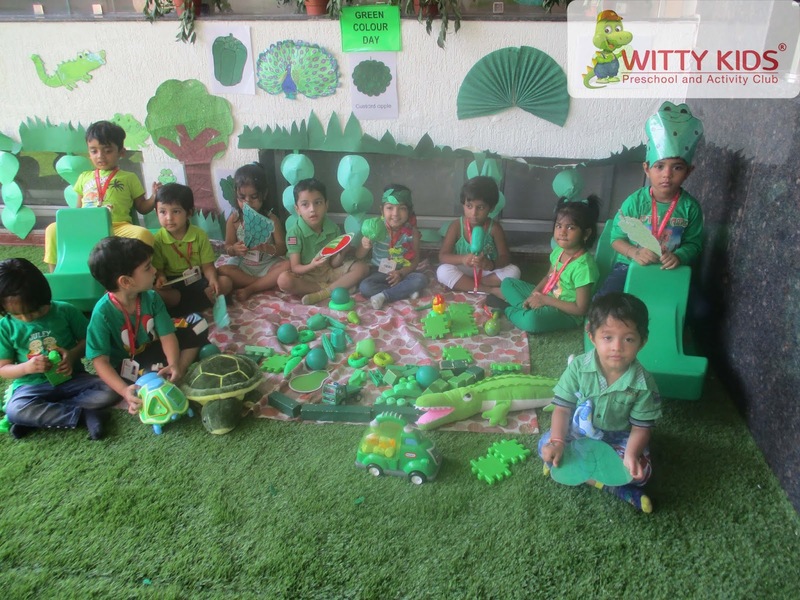 Green signifies growth, spring, renewal and rebirth. 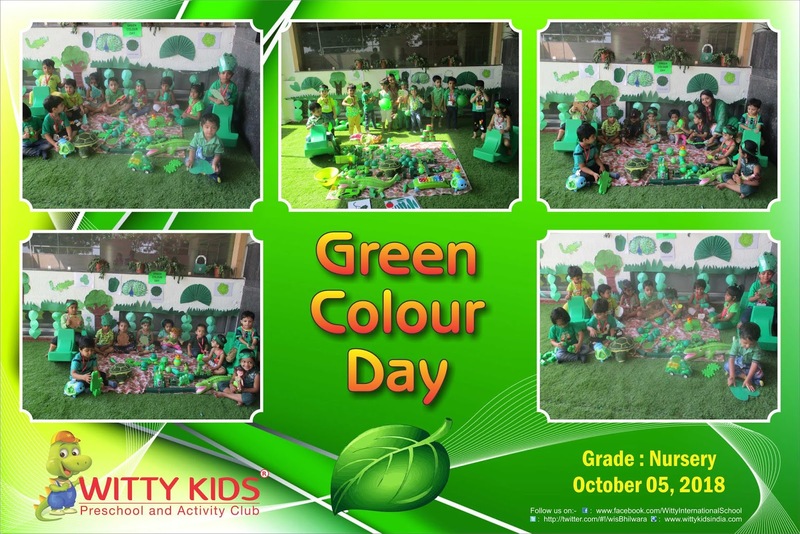 The colour renews and restores depleted energy. Green is an emotionally positive colour, giving us the ability to love and nurture ourselves and others unconditionally. 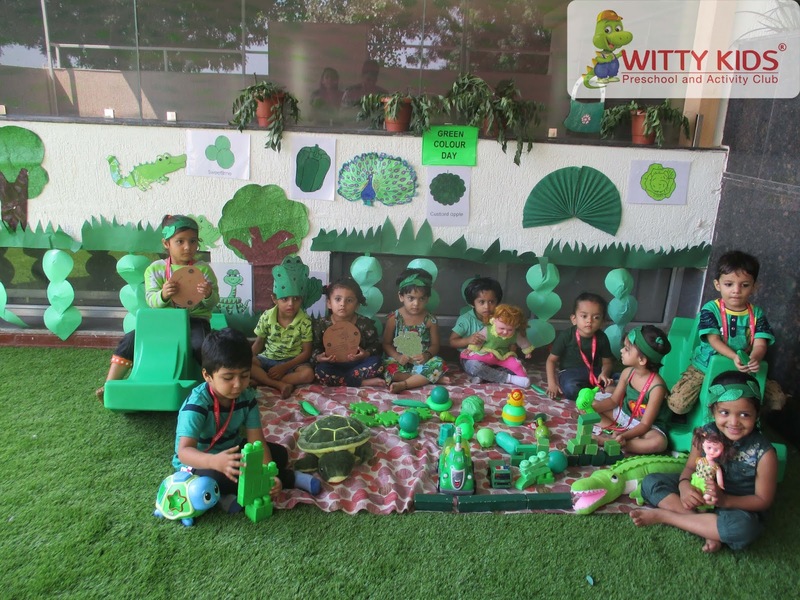 'Green Day' was celebrated with great zeal, eagerness and enthusiasm in Witty Kids, R.C Vyas colony, Bhilwara on Friday, October 5, 2018 for Nursery toddlers to take a recap of Green colour in a different manner and to inculcate love and respect towards nature . 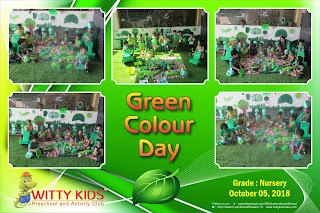 The kids and teachers came to school dressed in pretty green attires and looked eco friendly. 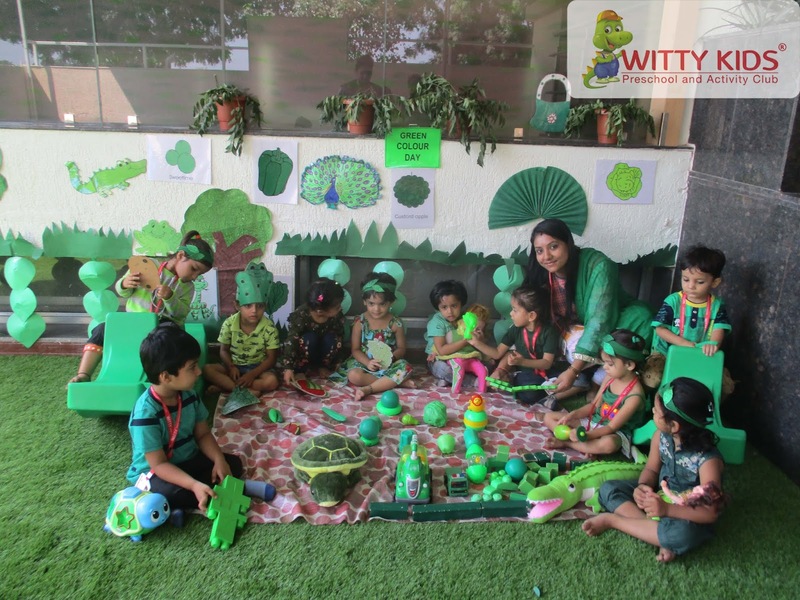 The school entrance area and classrooms were beautifully decorated with green objects from a child’s immediate surroundings were brought to the school. 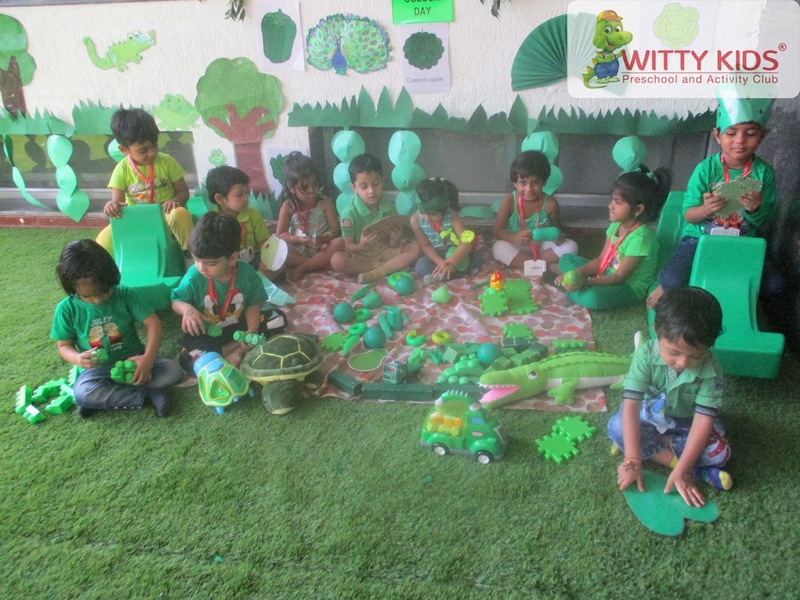 Tiny tots could easily identify green fruits, vegetables, balloons, green leaves and trees. Many activities and games pertaining to green colour were organised for the kids. 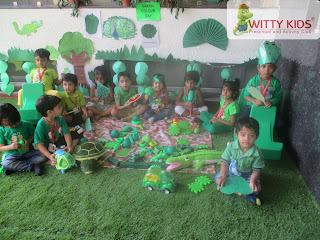 Children brought green snacks and eatables in their tiffins. The day conveyed the message that we should not cut trees and plants more and more trees as all the living creatures are directly or indirectly dependent on the nature. 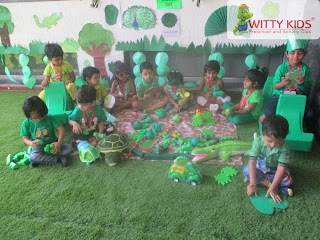 Students were made familiar to various shades of green such as aqua green, olive green, bottle green and parrot green.